Royal Cromer Golf Club in North Norfolk is a classic example of the benefits combining Toro irrigation and machinery can bring to a course. 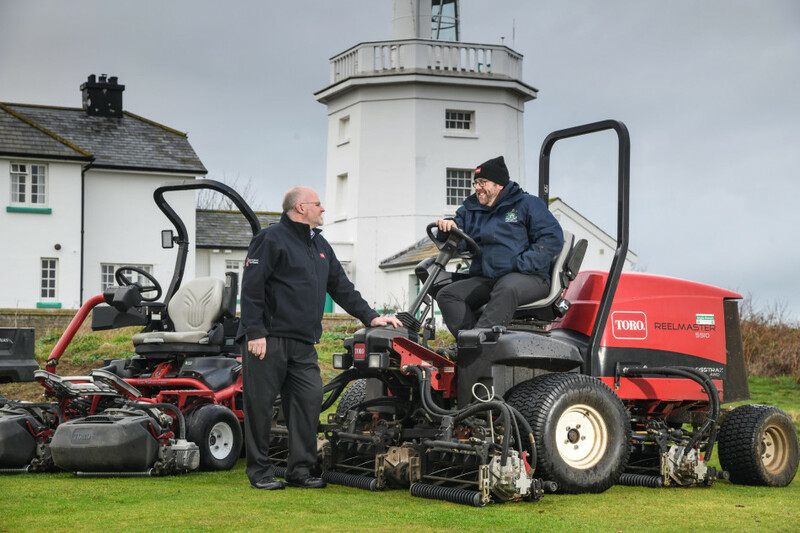 As one of the first club's in the UK to fully upgrade to a Toro Lynx control system in 2012, Royal Cromer is now halfway through its first five-year agreement plan with Toro machinery, and here course manager Mark Heveran tells us how the club has continued improving since using both. "We've been using Lynx for around six years now and it's just phenomenal," Mark says. "We have around four times the amount of sprinkler heads than we did previously, but we're using less water. The efficiency is just spot on, which is exactly what we need. We're in one of the driest parts of the country and our water comes from a borehole with a limited supply, so every drop counts." This is good news indeed for Mark who told us the club's members unusually part-funded the installation through individual loans, such was their support for it. "Lynx was an easy recommendation to make to our members, and we have not been let down. So, when the time came three years ago to commit to a machinery brand, Toro was the logical choice." For the club, striving to create the perfect playing surface is a real priority, and Toro's top of the line technology plays a large part in achieving that goal. Mark confirms: "Here at the club we have 650 members, plus a large number of visitors each year, and the main thing that keeps them coming back is the quality of the course. Since being with Toro, the course has continued to improve which has definitely kept everyone happy. With the irrigation system we noticed an improvement in the overall quality of the turf and with the equipment we have now, the course has become much more refined and every detail is attended to." "When we've used other brands, after three years or so you could feel the machines starting to get tired, but with Toro they're much more durable, solid and reliable in comparison, and the technology is always top notch," says Mark. With the installation of Toro Lynx only the start of a long-term development plan for Mark to create one of the best cliff-top links courses in England, the club is continuing this progression by now looking to expand the irrigation system to cover new teeing complexes and walkways, and Mark is already considering the next stage in terms of the fleet. "In the coming years I'm hoping to renew the full package deal we have," he says. "We've had absolutely no issues with the service, and the back-up from distributor Reesink Turfcare has been fantastic. So, when looking for the latest and best in machinery and irrigation innovation, Toro is forefront of our minds."